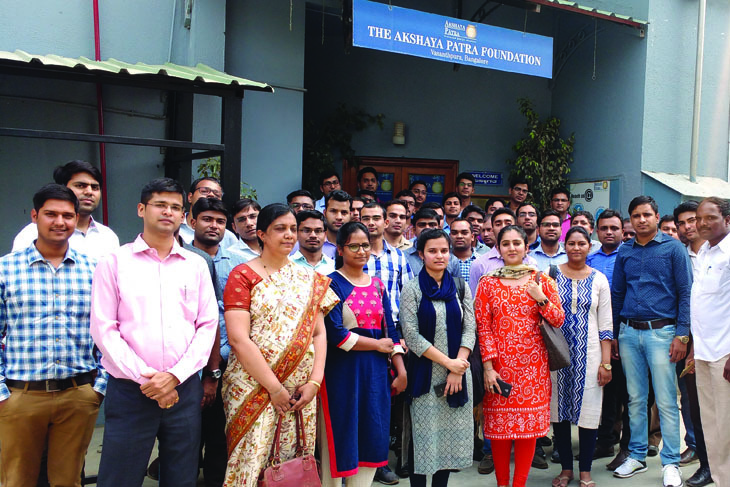 Bengaluru: In collaboration with National Academy of Customs, Excise & Narcotics (NACEN), Akshaya Patra organised a one-day training programme for newly recruited inspectors of NACEN. Their training sessions, which were held on May 5 and 24, 2017, included visits to centralised kitchen in VK Hill, Bengaluru and beneficiary schools, where they served mid-day meals to school children. 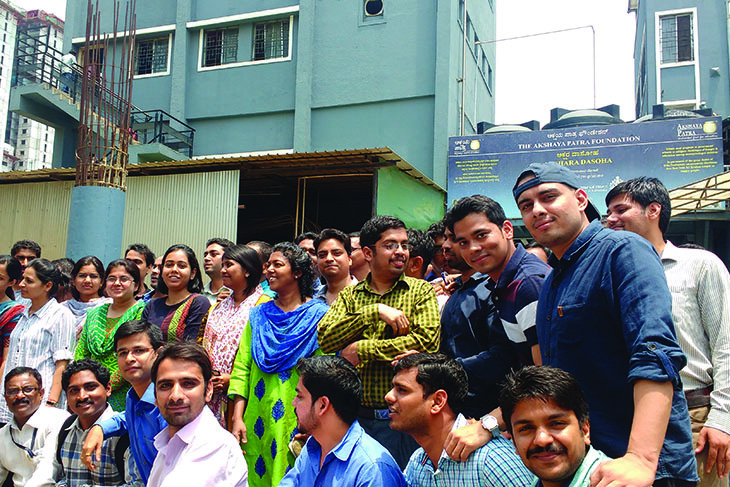 NACEN is a training institution which works under the Department of Revenue, Ministry of Finance, Government of India. 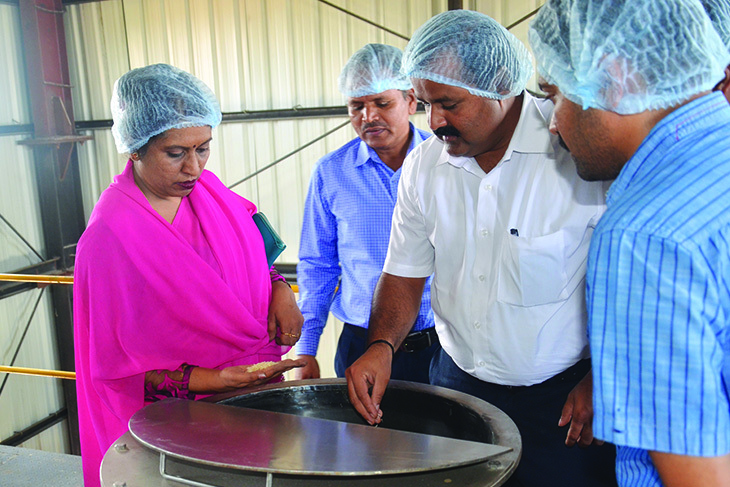 Hubballi: Smt Sumangala, Joint Director of Mid-Day Meal visited Hubballi kitchen on May 22, 2017. She was accompanied by Mr SB Hadimani, Education Officer, Zilla Panchayat, Dharwad; and Mr BH Kusugal, Assistant Director for Public Instructions, Kundgol. 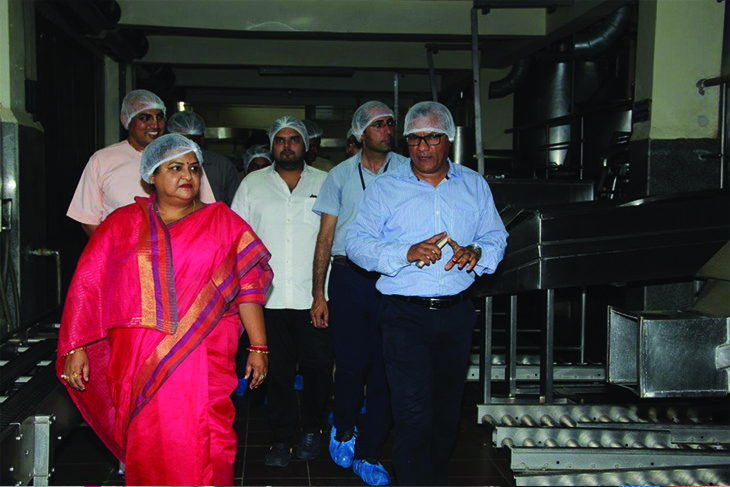 Lucknow: On May 9, 2017, Ms Anupma Jaiswal – Uttar Pradesh Minister of State for Basic Education, Child Development & Nutrition, visited our centralised kitchen in Lucknow. She was accompanied by senior mid-day meal and education department officers.